This book examines the question of how to deter a non-state terrorist actor. Can terrorism be deterred? This book argues that current research is unable to find strong cases of deterrence success, because it uses a flawed research design which does not capture the longitudinal dynamics of the process. So far, the focus of inquiry has been on the tactical elements of a state’s counterterrorism strategy, instead of the non-state actor’s grand strategies. By studying the campaigns of Hezbollah, the Palestinians, the Irish Republican Army, Chechens, the Kurdistan Workers' Party, and Al-Qaeda/Taliban and ISIS over time, we can see that deterrence strategies that target the cost-benefit calculus of terrorist organizations lead to wars of attrition – which is the non-state organization’s strategy for victory. To escape the attrition trap, the state must undermine the attrition strategy of terrorist organizations by using offensive campaigns that become critical educational moments. The case studies presented here uncover an evolutionary process of learning, leading to strategic deterrence successes. Some terrorist organizations abandoned the use of force altogether, while others abandoned their aspirational goals or resorted to lower levels of violence. These findings should enable policymakers to transition from the failed policy that sought to defeat the Taliban and al-Qaeda in the unending war in Afghanistan to a policy that successfully applies deterrence. This book will be of much interest to students of deterrence theory, terrorism studies, war and conflict studies, and security studies. 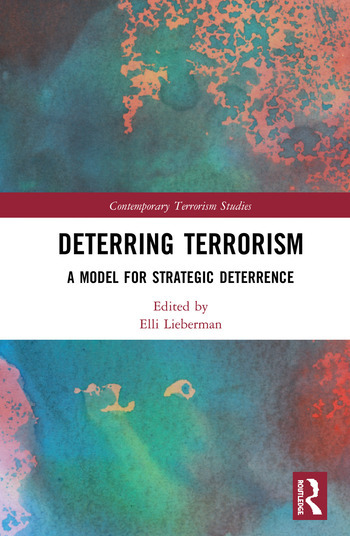 Elli Lieberman teaches at the University of Maryland Baltimore County and Loyola University, USA, and is author of Reconceptualizing Deterrence (Routledge, 2013).